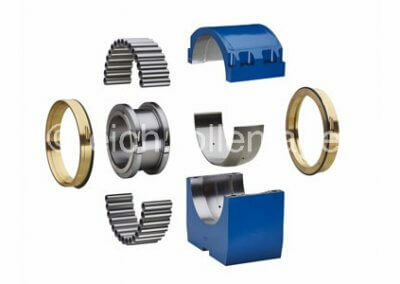 Split bearings are a special bearing types that is specially adapted to specific applications, such as cranked drive shafts (driven strand guiding rolls, support bearings for long / heavy drive spindles), very long drive shafts (shafts, drive shafts in fans) or difficult to access depositories (drive shaft of a heavy fan). 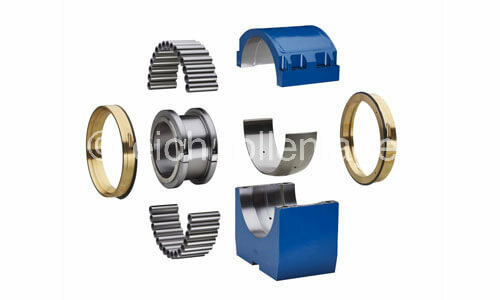 Split roller bearings are available as floating bearings, fixed bearings and also as supporting bearings or guiding bearings. 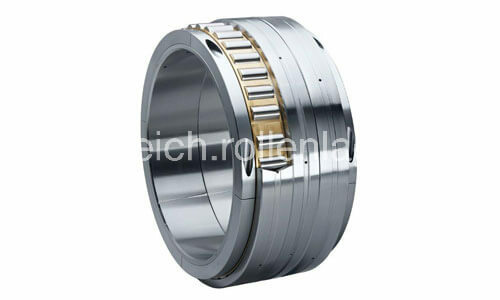 Fixed bearings and supporting bearings absorb axial forces in addition to radial forces. 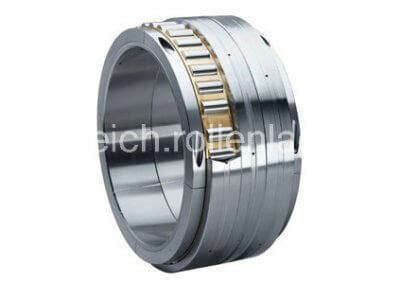 Thrust bearings are also available as a split version, for example as a support bearing for heavy vertical shafts. 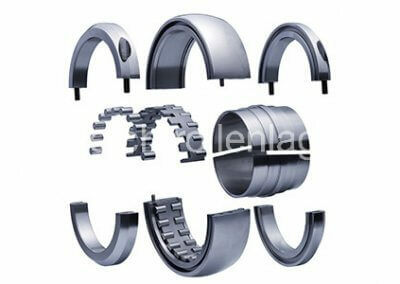 In general the split bearings are similar to the structure of the unsplit bearings, i.e. 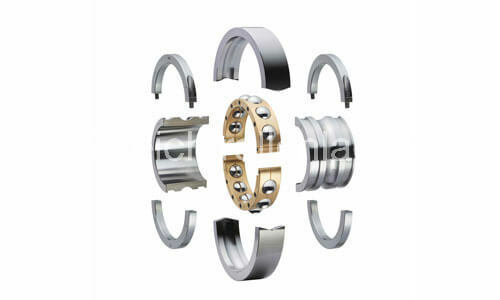 the inner ring, roller element set (full complement or with cage) and the outer ring. All parts are divided axially. 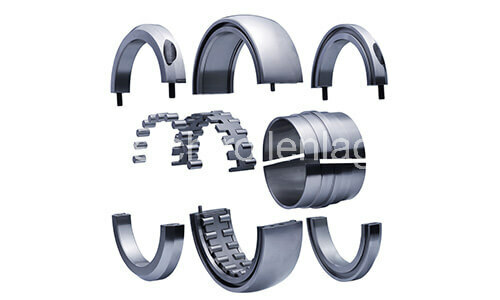 To attach the bearing, the so-called clamping rings are added. In most cases, the inner ring is clamped with the clamping rings on a shaft. The outer ring is usually made gap-free and held by the housing bore. Another design is the so-called split housing bearing unit, this is in addition to the shared bearing also still from a split housing. These housings come in different variants, e.g. also with integrated water cooling. It should be mentioned that the housing usually has low attrition thus can be used multiple times.